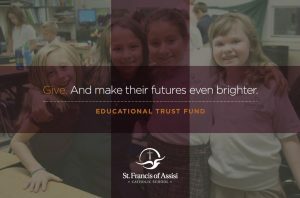 The St. Francis of Assisi Catholic School Educational Trust Fund (ETF) exists primarily to provide long-term financial assistance to the school. 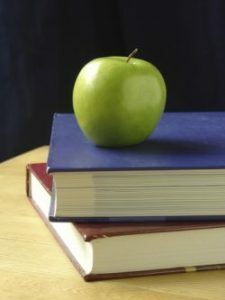 The ETF is organized to accomplish this purpose by pooling gifts of money and by investing this permanent fund to generate an income, which is then awarded to the school annually. To view the most recent letter from the Board of Trustees Chairperson and the Annual Report, click here. You are also invited to remember the Educational Trust Fund in your estate plan. Learn more here. For more information about the Educational Trust Fund and how you can help, please contact the Development Office at development@stfrancisa2.org or 734-821-2208.